To honor the University’s Class of 2014 Creative Writing Awards, the Library is publishing contestants’ poems or prose excerpts on Falvey’s blog. The Library also has created posters for the contestants’ entries, which will be displayed throughout the library’s first floor. Leave, hermana, I’ll be back around. To catch up with her friends who gossip about Mrs. Garcia. Insane from all of the mierda the city has put them through. Walls are crumbling yet this school must running with or without her. 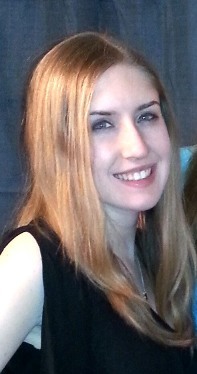 Megan Plevy is an English major with a writing and rhetoric concentration and education minor from northern New Jersey. Besides writing, she enjoys skiing on the Villanova Ski & Snowboard Team, eating copious amounts of frozen yogurt and traveling.